In ecommerce, you’re only as good as your product pages. You can have the best products, the most effective Facebook ads, and more traffic than any of any of your competitors, but if your product pages aren’t optimized to influence and drive conversions, you’re not going to make it. Building a successful ecommerce business isn’t about figuring out how to put your products online. It’s about knowing how to motivate people to buy. To inspire people to buy your products, you have to think strategically when it comes to your product pages. You have to be intentional about everything — from the words you write and the images you use, to the design you present and the experience you create for visitors. One of the best ways to build trust and boost conversions on your product pages is by featuring large, crisp, and interactive images of your products — like the ones from Hoot View. It seems like such a simple concept, but it’s one that many new ecommerce entrepreneurs aren’t willing to invest resources into right away. It’s perhaps not all that surprising: product photoshoots can easily become fairly time-consuming and expensive, especially if you’re in a position where you need to hire an outside freelance photographer, or if you’re dealing with a large amount of products that you intend to sell on your website. But photos matter a great deal when it comes to convincing visitors to ultimately click that “BUY” button. The internet is a great tool. As wifi and smartphones have become more readily available for the majority of the world, we’ve learned to rely on the internet for everything: communication with friends and family, online shopping, collaboration at work, entertainment, personal banking — the list goes on and on. The problem is, while the internet presents us with a lot of opportunities, it also creates new vulnerabilities. Every week new stories are published online about data breaches at major companies, cyber identify theft, credit card fraud, and personal information being stolen and compromised by savvy hackers. As more events have occurred and been reported on over the past few years, consumers (understandably so) have become more and more wary of giving out their personal information online. If you want people to buy your products, you need to convince them that their information is safe in your hands. The best way to do it is by adding trust badges and statements onto your product pages. The most effective ecommerce business owners are the ones who understand how to influence consumer behavior. Influencing consumer behavior on product pages ultimately comes down to one thing: psychology. To drive more consumers, you have to become familiar with the psychological principles and concepts that other companies are using to convince people to buy. Reciprocity — feeling the need to give something in return for getting something for free. Urgency — feeling the need to buy before it’s too late. Scarcity — feeling the need to buy before quantities are gone. Social Proof — feeling the need to buy because others around you are buying. Authority — feeling the need to buy because thought leaders or celebrities are buying. You can spend your entire advertising budget tooting your own horn on Google, Facebook, and in other ads on websites around the web, but they’ll never be as powerful as word-of-mouth recommendations and referrals from one friend to another. 72% of consumers say positive reviews make them trust businesses more. 68% of consumers trust opinions posted online. Word of mouth is the primary factor behind 20% to 50% of all purchasing decisions. 84% of consumers reported always or sometimes taking action based on personal recommendations. 70% said they did the same of online consumer opinions. As an ecommerce business owner, it’s in your best interest to feature reviews from customers prominently on your product pages. Reviews build trust and give potential customers the emotional information they need from others in order to make purchasing decisions. 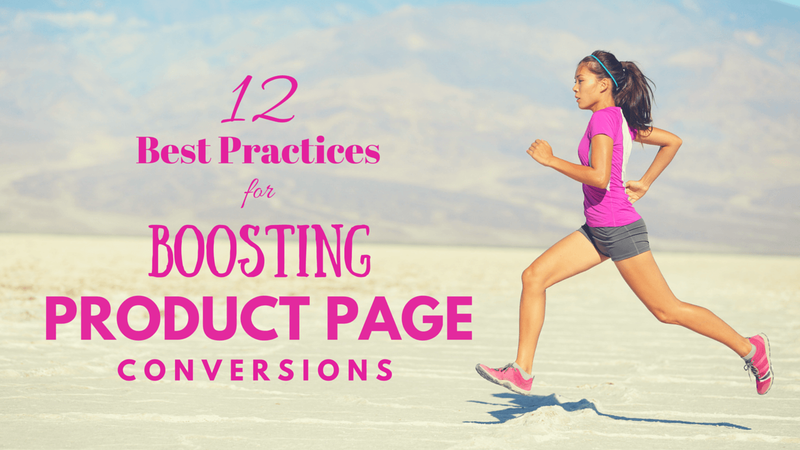 To boost conversions on your product pages, focus less on optimizing your own statements about your products and leverage statements from your brand advocates, loyal followers, and most recent customers instead. Thanks to branding giants like Apple, Nike, Beats, and many others, consumers have come to appreciate and even now expect minimalistic design when shopping online. To boost growth and sales at your ecommerce business, consider removing all unnecessary elements from your product pages. Include only the most relevant and essential information, feature large and crisp photos, utilize negative (white) space, be intentional with typography, copy and CTA buttons, and overall, keep things as simple as possible for your visitors. To go really deep into the science behind why simple websites are better, read this fantastic post from ConversionXL. Ensure you are operating the latest version of whatever CMS or website builder you use. Reduce the number of HTTP requests that occur on your site. Compress site files and images. Fix broken links throughout your site. Make sure your site is optimized for mobile. Test site speed (use this tool), then identify and remedy any additional causes of slow loading times. To connect with consumers today, you can’t sell them products. You have to solve their problems. In other words, people aren’t visiting your website or product pages to read about how great you think your company or products are — they’re landing on your website because they need help and they’re wondering if they can get what they are looking for from you. It’s your job to convince them that your products (not your competitors’) are the solutions they’re looking for and the ones worth investing in. In my experience, the easiest way to convince people is by answering the questions you already know they’re going to have upfront. This means including FAQ information and other helpful or educational information relevant to your products prominently on your product pages, either below the fold or in drop down or light box menus. Taking the time to educate your visitors on your product pages will allow you to proactively address and dismiss objections, pushing prospective buyers one step closer to conversion. On a somewhat related note, you can also boost conversions by selling the benefit that people will get as a result of buying and using your products, rather than focusing on the features. Again, people are coming to your ecommerce store because they need help with something (feeling better, looking better, working more efficiently, being more productive, being happier, having more fun, etc.). How can our products help them? What benefit do they experience with our products? How do our products change their lives? What is the end-result people are looking for? What promise am I making to the people who buy my products? Mobile consumers don’t have the patience for product pages that don’t easily load in a matter of a few seconds. To avoid missing out on potential customers, make sure your products can be not only viewed on a mobile device, but also easily purchased. 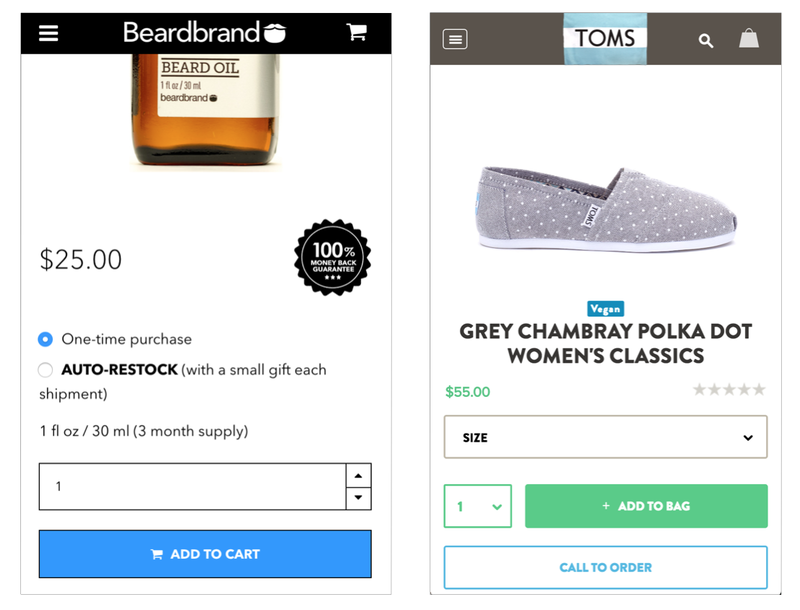 For help creating and optimizing your ecommerce store for mobile, read through this helpful blog post from Michael Mace of UserTesting.com. Copy is your best friend on product pages. It can also be your worst enemy. To be effective and drive more conversions, you have to spend time developing compelling descriptions for your products. The key is to focus less on being overly descriptive, robotic, and keyword-happy, and more on writing genuine content that actually helps prospective customers imagine themselves using your products. I love the example below from Casper. To me, they do a perfect job of helping people understand what the product is, and how it can make their lives better. For help writing compelling copy on your product pages, explore this blog post from ConversionXL. Establish credibility by leveraging content from happy customers. Use content from others to strengthen your reputation and the reputation of your products. Make visitors feel like they are missing out on something if they don’t buy. Help visitors feel like they are part of an exclusive community once they do buy. To learn more about the science and strategy behind social proof in ecommerce, read this blog post by Neil Patel. 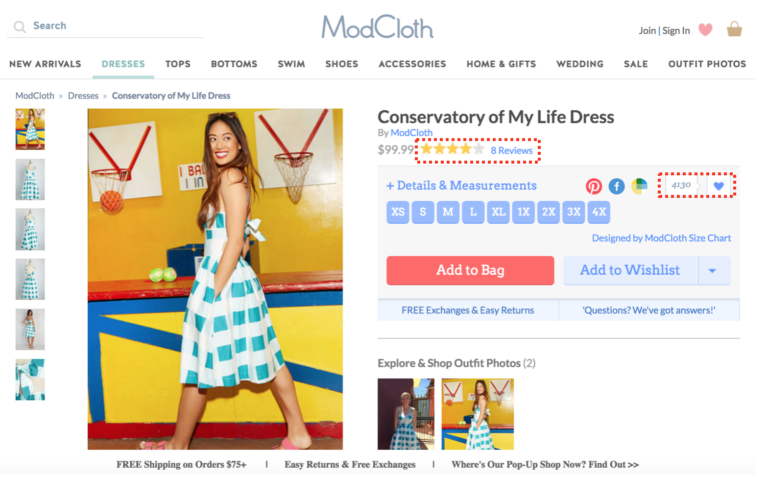 The final way you can boost conversions on your product pages is by using scarcity to create the sense that products might not be available for visitors to purchase at a later time, that special deals might not be available at a later time, or that the price might change at a later time. The goal is to put a bit of pressure on visitors and urge them to make a purchasing decision faster and before leaving your website. What other best practices should be on this list? Tell me in the comments below. William Harris is the CEO and ecommerce consultant at Elumynt and outsourced VP of marketing and growth for several large ecommerce and SaaS brands. He’s also an author for Entrepreneur, Fast Company, The Next Web, Search Engine Journal, and many other leading publications. Follow him on Twitter at @wmharris101, LinkedIn, Facebook, and Google+. Originally published at www.sellbrite.com on June 10, 2016.